ICP / Fair Finance Watch: First Study of NYC MSA 2004 HMDA Data of Citigroup, HSBC, Wells Fargo, JPM Chase, WaMu, etc. ICP/FFW Campaigns -::- In Other Media For further information, click here to contact us. Royal Bank of Scotland Pursued by U.S. Consumers, Dow Jones, May 1, 2005. What the Fed doesn’t say in this is that these disparities are most stark some of the largest conglomerates in the country, including in their headquarters cities (where they have Community Reinvestment Act duties). As two example, with the largest bank and thrift in the United States: Citigroup in the New York City Metropolitan Statistical Area in 2004 confined African Americans seven times more frequently than whites to higher cost, rate spread loans. The largest savings bank in the country, Washington Mutual, confined African American couples to high cost loans 4.5 times more frequently than white couples, on nationwide basis. How could such patterns be plausibly described as “benign” or as reflecting “a sorting of individuals into different market segments”? Where the rubber will meet the road will be in how the Federal Reserve and other agencies act on specific disparities at specific lenders, including as these are formally raised to them in timely comments on merger applications. See, Inner City Press / Fair Finance Watch's other studies of the 2004 HMDA data: first second third fourth fifth. For or with more information, contact us. At Washington Mutual, African American men were confined to high cost loans 3.34 times more frequently than white men -- the largest disparity for this comparison. At Royal Bank of Canada / Centura, African American women were confined to high cost loans 4.52 times more frequently than white men -- the largest disparity. Wells Fargo was second most disparate to African American women, confining them to high cost loans 4.31 times more frequently than white men. At Bank of America, Hispanic men were confined to high cost loans 2.10 times more frequently than white men. White women were confined to high cost loans 2.04 times more frequently than white men -- the largest disparity for this comparison. Again at Washington Mutual, Hispanic women were confined to high cost loans 2.53 times more frequently than white men -- the largest disparity for this comparison. At Citigroup, for home purchase loans, African American women were confined to high cost loans 4.06 times more frequently than white men. Hispanic men were confined to high cost loans 2.15 times more frequently than white men; at Wells Fargo, the disparity between Hispanic and white men was 1.78. Regarding Wells Fargo, ICP has received more and more complaints about Wells Fargo, including about Wells stealth Americas Servicing Company unit. Wells Fargo is also a major funder of payday lenders, including targeters of military personnel like Armed Forces Loans. ICP has raised this directly to Wells Fargo, and to the Federal Reserve on Wells proposal to acquire First Community Capital Corp., which was announced back on September 2, was challenged by ICP on November 1, and which still remains pending, more than five months later. Regarding HSBC, ICPs filings with the states have also asked them to expand their $486 million predatory lending enforcement action against HSBC / Household International to cover HSBCs Decision One unit, which made more subprime loans in 2004 than either HFC or Beneficial, which are covered by the states settlement. ICP has asked the attorneys general in more than thirty states to reopen their $486 million predatory lending settlement with Household, and for example to make sure that it expands to cover and require reforms from Households, now HSBCs, Decision One subprime lending unit. Whites: 74,387 applications, leading to 5740 denials (7.72% denied) and 58,173 originations; 1971 [or 1.84 percent] exceeded rate spread. African Americans: 4767 applications, leading to 612 denials (12.84% denied, 1.66 times higher than whites) and 3451 originations; 255 [or 7.39 percent] were at rate spread [3.99 times higher / more likely to be over rate spread than whites]. Latinos: 8376 applications, leading to 870 denials (10.39% denied, 1.35 times higher than whites) and 6105 originations; 163 [or 2.67 percent] at rate spread [1.45 times higher / more likely to be over rate spread than whites]. 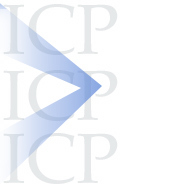 ICP has also produced and submitted upon request to to New York State elected prosecutorial officials a list of the largest subprime lenders in New York State, including among others New Century, H&R Block / Option One, American Home Mortgage as well as the belownamed, KeyCorp and other banks. Number one on the list is Ameriquest. ICP has also specifically analyzed Ameriquests lending to Native Americans. Ameriquest confined over sixty percent of Native American home purchase borrowers to higher cost subprime loans. ICP has provide this and other analysis to the regulators and state attorneys general, demanding investigation and action. ICP has also requested action, from federal regulators and now fifty state attorneys general, on lenders who have refused to provide data, and who otherwise enable predatory lenders: Royal Bank of Scotland and other subprime facilitators and securitizers (as reported in the London Sunday Times of May 1), Lehman Brothers, Fifth Third, Delta Funding and AIG / American General (these four and others have refused to provide their data in analyzable form), as well as Fremont Investment and Loan, which is trying to require ICP to sign a confidentiality agreement to view its public data. ICP has refused, and has filed complaints. Beyond its filings with fifty state attorneys general, ICP is also commenting to, and also litigating Freedom of Information Act issues against, federal agencies like the Federal Reserve Board, in connection with Wachovias support of payday lenders and other fringe financial institutions, see, e.g., Dow Jones of October 25, 2004, Community Group: Fed Must Reconsider Wachovia-SouthTrust).